Now you can put a face with the name. As Forrest Gump would say, "Now we ain't strangers anymore." To contact anyone on our team, please use the contact form or email staff@shining-light.com. Jeff is an entrepreneur with over 30 years of experience in starting and operating for-profit businesses and non-profit organizations. Jeff received his B.S. in Music Education and went on to perform as a saxophonist with Chita Rivera, Ben Vereen, Robert Goulet, Patti Page, George Burns, and the Ice Capades. He was co-owner of J.P. Donmoyer, Inc., a regional trucking company, from 1989 to 2014, when he successfully sold to investors after growing the company from $2 million to $30 million in revenue. He's also been a director at Jonestown Bank & Trust Co. since 1986, currently serving as vice-chairman. In 1996, Jeff founded Shining Light Ministries in a rural Pennsylvania church. Since then, he has developed working relationships with prisons, jails, shelters, and rehab centers in 22 states and Puerto Rico. He developed SLM’s newest program, the Impact Workshops, in late 2014 with Workshop Director Kelly Enck. Kelly has more than 17 years of experience designing and producing collaborative, multi-media performances for underserved audiences, including rehabilitation centers, homeless shelters, and correctional facilities. Kelly holds a B.S. in Music Education, and is a vocalist. Since 2012, she has implemented a national recruiting strategy that moved SLM from working with local high school students to national college-age and young professional artists. In late 2014, Kelly developed SLM’s newest program, the Impact Workshops, in collaboration with Jeff. Anna Kelly is a freelance actor and teaching artist from New York City. 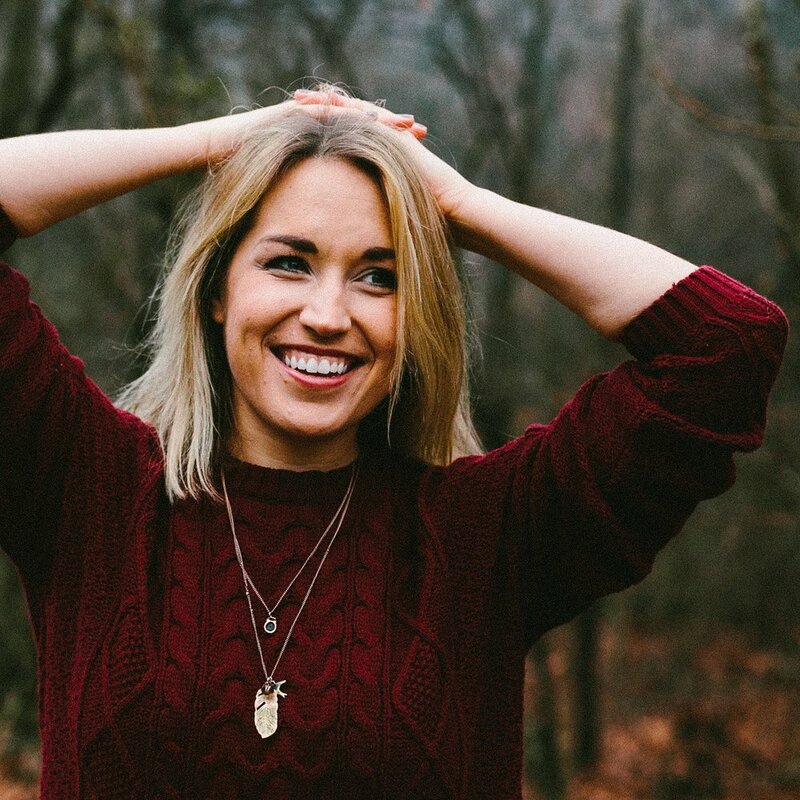 With a degree in musical theatre from Palm Beach Atlantic University, Anna has performed professionally in regional theatres across the country. Anna first joined Shining Light as a team leader in a 2017 workshop, and quickly found it to be at the center of her passions. She has been a part of 6 workshops thus far and is thrilled to now join Shining Light full time as Production Director. Anna continues to dive deeper into the intersection of arts and social justice, and was selected to be an artistic fellow at the 2018 Artist As Citizen Conference held at Juilliard. Deeply aligned with her faith and gifts, Anna finds no greater pleasure than helping others find their voice through the arts, particularly within the criminal justice system. Jeff has served in the tech areas (sound, lights, video) of Shining Light since seeing us at his church in 2003. An electrician by vocation, Jeff has served as the tech director at Gravel Hill United Methodist Church for many years. He also has provided sound and other tech support for a variety of area musicians and productions. Barb has been working in Shining Light with her husband, Jeff, since it began. After earning her B.S. in Music Education from Lebanon Valley College, Barb went on to work as a music educator in public schools for nine years and managed a large family restaurant for three years. She also invested 11 years in pastoring a local church start, shepherding the congregation and building the leadership. Recently, Barb has been involved in mentoring young female leaders through her church. 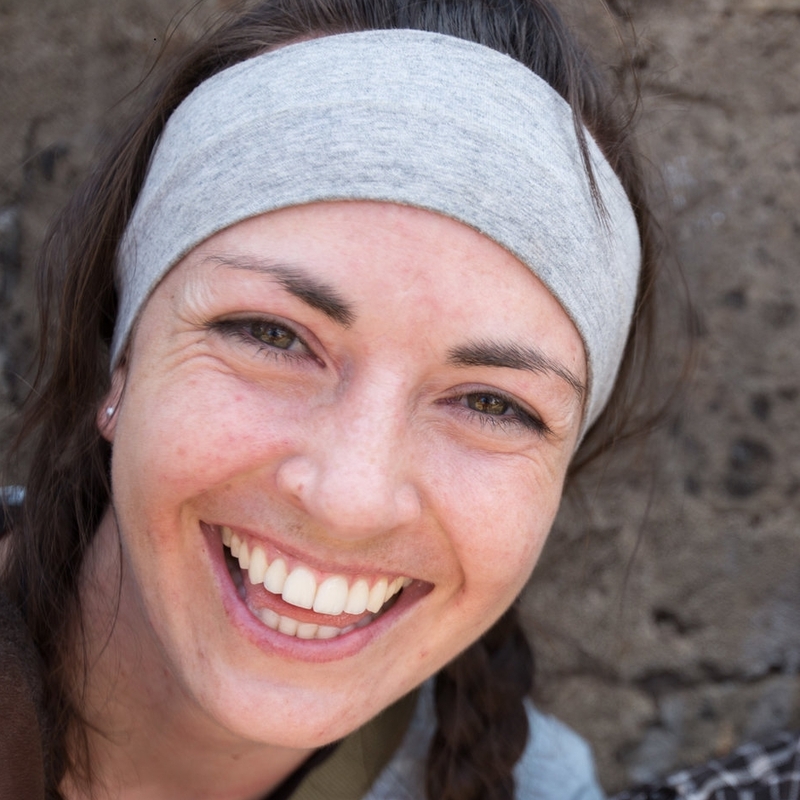 Currently, she assists in the overall planning of Impact Workshops, directs logistics of travel and lodging for guest artists, and is in charge of the development of Shining Light’s Discipleship Series, an integral part of every Impact Workshop. Barb's passion to welcome all and provide new perspectives on the criminal justice system, grace, and transformation infuses all her work for Shining Light. She enjoys traveling with her husband Jeff, caring for their dogs, Romeo and Juliet, and spending time with their two sons and their wives. Hannah has performed and taught with SLM in over 15 different correctional facilities over the course of the past three years. She was the guest artist dance team leader for SLM’s first Impact Workshop in January 2015. Hannah graduated from The Ailey School/Fordham University with a BFA in Dance and English. In addition to her work with SLM, Hannah dances for Peridance Contemporary Dance Company in New York City, where she also works with the company’s Outreach team in local urban schools. Inspired by the drummers at his church in Rochester, New York, Mike first picked up a pair of sticks at the age of four. Earning his BMA from the Eastman School of Music in 2015, he studied with Rich Thompson, and played under the direction of Dave Rivello and Bill Dobbins. Beteen his junior and senior year, Mike embarked on his first Summer Impact Tour with Shining Light. Since then he has taken on the role of Music Director for two more tours and numerous workshops. He loves to be a part of God’s mission to the incarcerated population, being able to receive God’s grace and renewing hope with people of all backgrounds and cultures. In addition to Shining Light, Mike has been a staff musician at the historic Grand Hotel of Mackinac Island, Michigan and has traveled the country for performance and recording opportunities. Mike now resides in Brooklyn, where his drums and microphones are put to good use. Ever since graduating with a degree in Psychology, Jenny has continued to study people, just not as academically. She's called many different places around the world her "home" and has worked with a variety of non-profit organizations, helping with program development, media, communications, and creative direction. And after crossing paths with Shining Light in the Fall of 2017, her efforts have continued as we use multimedia to tell our story. Edward H. Arnold earned a B.A. degree in accounting from the University of Notre Dame in 1961, a doctorate of humane letters from Lebanon Valley College in 1987; and in 2013 Penn State honored Ed and Jeanne Arnold with an Honorary Alumni Degree. 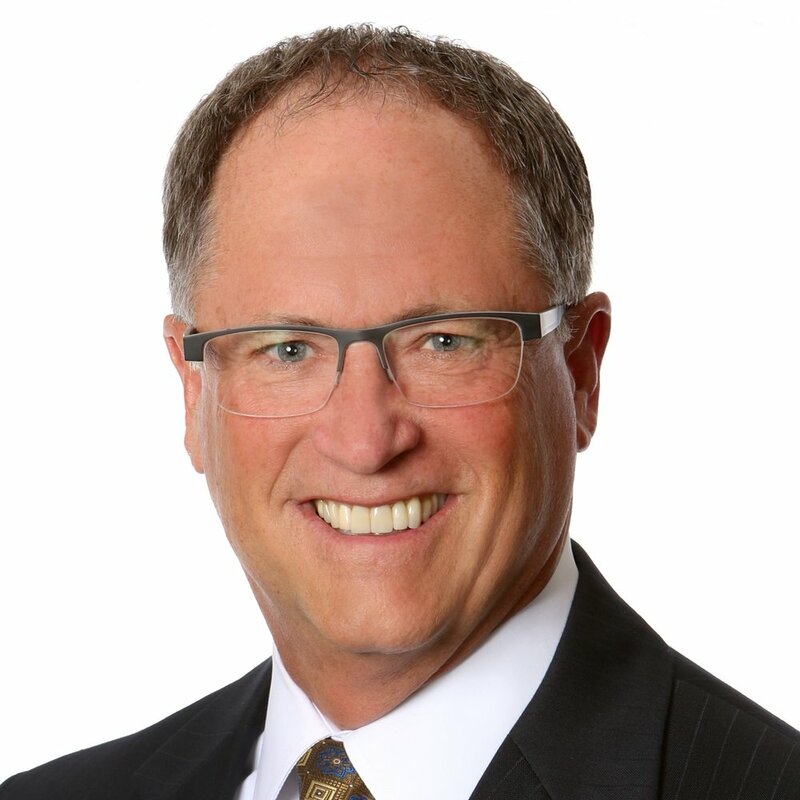 Ed is the retired Chairman and CEO of Arnold Industries, Inc., parent company to New Penn Motor Express, Arnold Transportation Services and Arnold Logistics. Ed serves on the board of directors for: Lebanon Valley College—Emeritus; Boy Scouts of America PA Dutch Council, Executive Board; Enterra Solutions; Lancaster General Health Mission and Community Benefit Committee and Lebanon Community Library. Additionally, he serves on the President’s Circle, and the Hesburgh Libraries Advisory Council at the University of Notre Dame; as well as the Penn State Health & College of Medicine Campaign Cabinet. 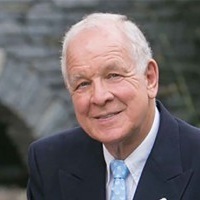 He has been the recipient of several awards: 2001 Businessman of the Year, West Shore Chamber of Commerce; Boy Scouts of America Silver Buffalo in 2011; Hall of Achievement Award--2005, Junior Achievement of Central Pennsylvania; and 2012 Inductee in the Central Penn Business Journal Hall of Fame. In 2005, Ed and Jeanne received the Outstanding Philanthropist Award, sponsored by the Central PA Chapter of the Association of Fundraising Professionals. Ed, along with his wife Dr. Jeanne Donlevy Arnold, resides in Lebanon, PA.
Rachel has participated with Shining Light as a theater team leader on two workshops, and volunteers as an instructor with the Prison Education Project in Southern California. She is a professor of theater arts at Azusa Pacific University with a focus on theater history and directing, and she regularly directs for the department. Her research focuses on the interplay between memory and theater, particularly in the work of women. She received a Ph.D. in Theatre Studies from Royal Holloway, University of London and an M.A. in Drama from the University of Alberta. Steven R. Kreamer, is President of Kreamer Funeral Home and Crematory, Inc. with locations in Annville and Jonestown which has been in business for over 103 years. He is a 3rd generation Funeral Director and a 1976 graduate of Annville-Cleona High School, a 1980 graduate of Indiana University of Pennsylvania, and a 1981 graduate of Pittsburgh Institute of Mortuary Science. His son Christian is currently at Pittsburgh Institute of Mortuary Science studying to become the 4th generation of funeral directors in the Kreamer Family. He is a member of the National and Pennsylvania Funeral Directors Associations where serves as a District Governor and the Hershey-Palmyra Sertoma Club. He serves on the Board of Directors of Shining Light, the Annville-Cleona High School Dutchmen Education Foundation, the Annville Economic Development Committee, and a life-ling member of Christ Church United Church of Christ where he serves on the personnel committee. He served as a volunteer for the National Funeral Directors Association as a member of the Fatality Team for the 911 disaster in New York City. Sue Allwein co-founded Allwein Carpet One Floor & Home in Annville, Pennsylvania. She is on the board of CCA Global Partners, The Mid Atlantic Floor Covering Association, United Way of Lebanon County and Shining Light Ministries. Sue has served as president of the Lebanon Valley Chamber of Commerce. Before entering the flooring industry, she was a gifted education teacher. Sue attends and is active at Calvary Chapel Lebanon, PA. She and her husband enjoy spending time with their four grandchildren, gardening, reading and traveling. Rikers Island, New York City’s jail complex, is billed as the world’s largest penal colony, sustained an average daily inmate population of 14,000 men and women. Edmund Duffy started with the NYC Department of Correction in 1986 and spent his 29-year career at Rikers. He worked his way through the ranks while serving during much of his career as adjunct faculty to the Correction Academy in developing newly-assigned staff to supervisory ranks. As a captain, he oversaw the department's largest mental health unit. As an assistant deputy warden and deputy warden, he was responsible for security at the department's largest facilities, and as deputy warden in command, he oversaw the department's hospital prison wards. He has received numerous distinctions, including recognition as the department's deputy warden of the year and an award from the correction officer's union for outstanding leadership. In 2008, following a highly publicized homicide with staff complicity, Duffy was elevated to warden and assigned to the very same Rikers Island facility where he commenced his Rikers Island Warden tenure, serving in four separate facilities until his 2015 retirement. He has been interviewed by the New York Daily News, the City Journal, and CorrectionsOne.com, an online resource for the corrections industry. Throughout his career as a warden, Duffy fought to expand programs, inclusive of mental health services to inmate populations and educational opportunities for incarcerated adolescents and adults. 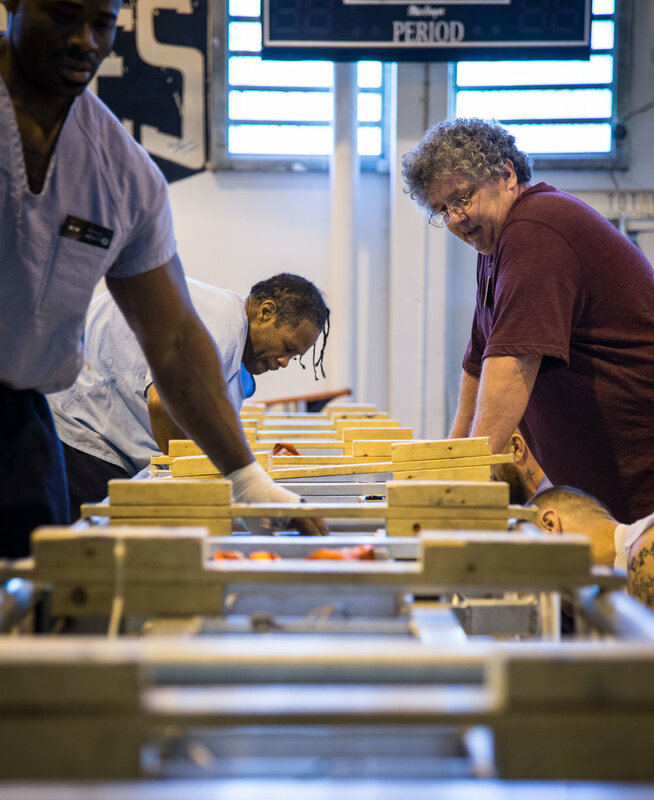 While assigned to the most challenging facilities on Rikers, Duffy was instrumental in establishing an Honor Program, which utilized a curriculum, classrooms and numerous community-based volunteers to provide moral rehabilitation while preparing inmates to reenter the community. Edmund, upon retiring, resumed his education pursuits, completing a Bachelor of Science degree at John Jay College of Criminal Justice. Edmund continues to serve on several prison ministry boards while he and his wife, Janinne, remain active in their local church and community.